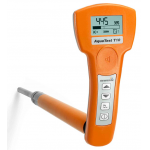 Electro-acoustic water leak detection: professional – flexible – intelligent. 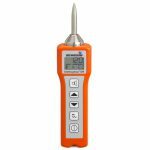 When it comes to detecting leaks in water pipes by electro-acoustic means, the hearing and experience of the user are paramount. 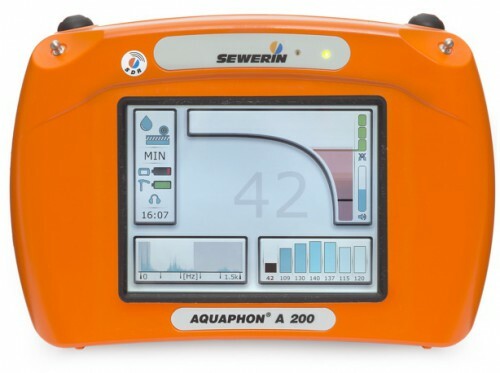 The AQUAPHON® system supports and simplifies this detection process thanks to the outstanding quality of its microphone and measuring technology, intelligent analysis functions and the practical, visual representation of results on the display. This cutting-edge system offers comfortable, wireless handling, ease of use, versatility and a sturdy, ergonomic design. 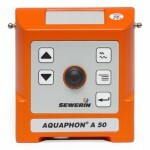 The AQUAPHON® system is ideal for both the prelocation and pinpointing of leaks for confident excavation. 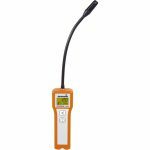 It is suitable for all your leak detection challenges and will help you locate leaks safely and reliably. The water flowing out of the leak in the pipeline causes the pipeline material to vibrate. 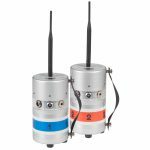 These vibrations are transmitted throughout the line and can be picked up as structure-borne noise, even at distant contact points such as fittings. The vibrations are also transmitted up through the ground to the surface as ground-borne noise, although this is very muted. 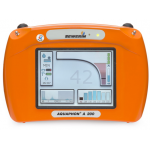 The AQUAPHON® system is your perfect companion for leak detection as it makes the vibrations audible to the human ear and records and visually displays the volume and frequency spectrum. Thanks to the high protection class (IP67) of the AQUAPHON® A 200 receiver, you’ll always be on the safe side, even in extreme environmental conditions. 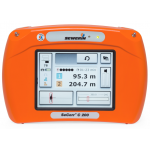 The receiver is impervious to dirt, dust and moisture. The TM 200 touch microphone used for prelocation can even be used continuously under water (IP68). The symmetrical housing of the AQUAPHON® A 200 receiver, means that it can be operated by both right-handed and left-handed users with ease. 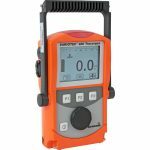 You can see everything at a glance: The clear 5.7 inch receiver display shows the current acoustic intensity both in a graph and as a numeric value. Alongside, you can see the previous values for comparison purposes, as well as the current frequency analysis of the noise. A full charge of the integrated Li-Ion rechargeable battery in the AQUAPHON® A 200 receiver, F6 wireless headphones and TS 200 carrying rod is enough for a full day’s work. Work effortlessly and ergonomically. 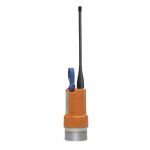 The TS 200 carrying rod with its balanced, ergonomic design fits snugly into your hand. The flexible carrying system for the receiver with two cross belts can be adjusted individually and enables various carrying positions.